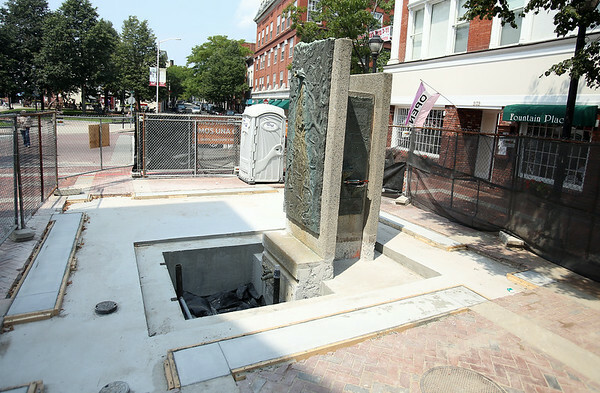 The water fountain at the corner of Essex and Washington Streets at one end of the Pedestrian Mall has been under construction for some time. The repairs were supposed to be completed around the Fourth of July, however, there is still fencing around the area. DAVID LE/Staff photo. 8/1/14.